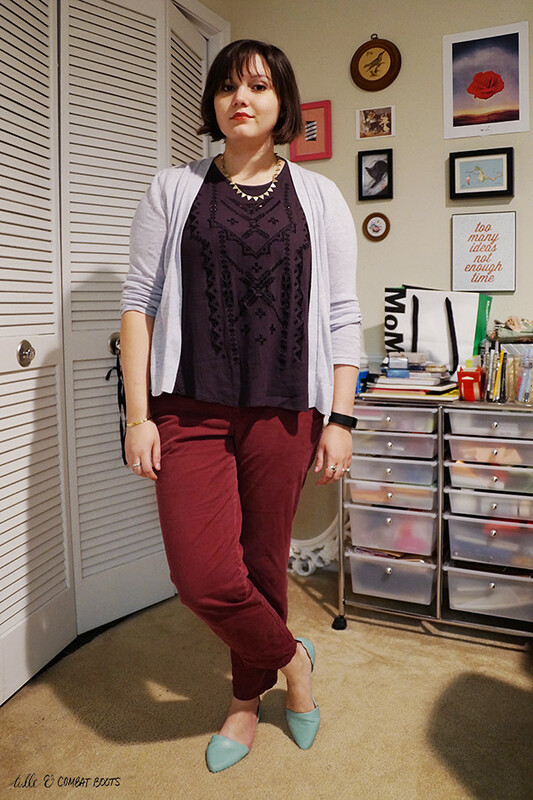 Tulle & Combat Boots: grays & burgundy. 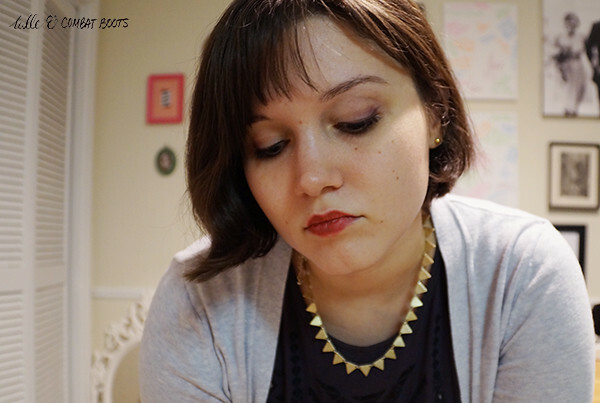 Excuse the grumpy face in these photos—it was a rough week. 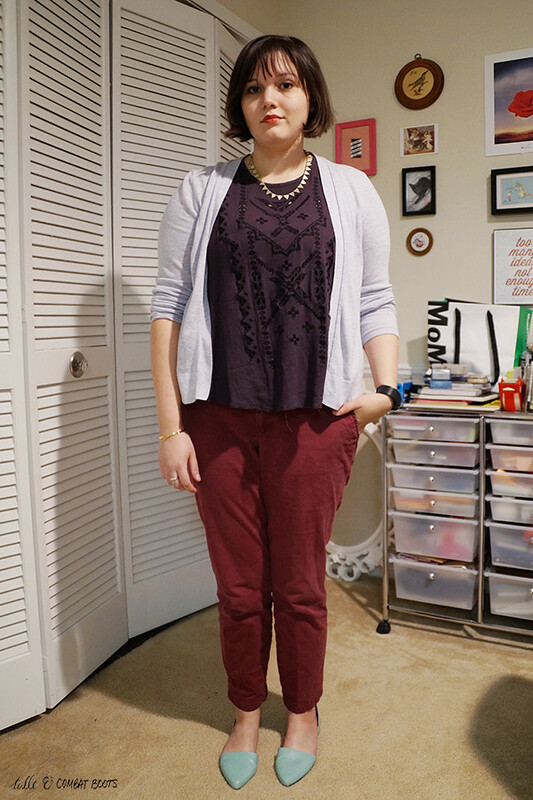 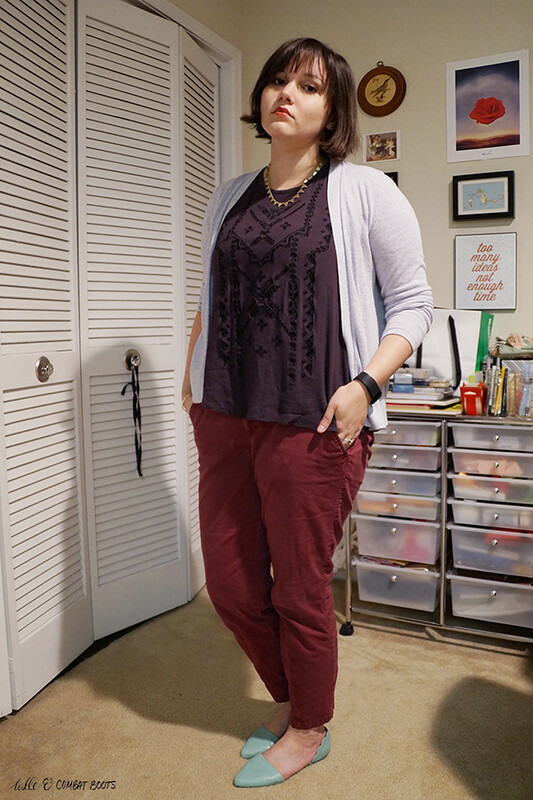 I didn't realize until just now that this outfit is all ModCloth & Old Navy (that seems to happen a lot). 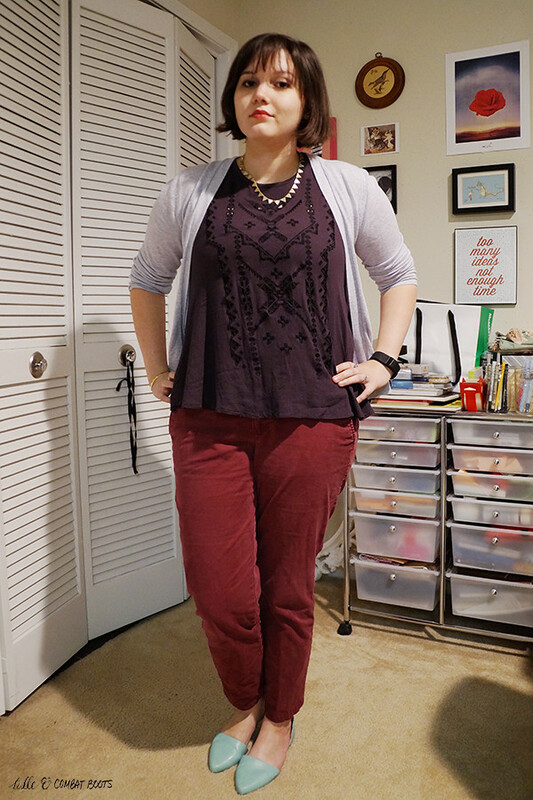 I got this top on sale and it's not my usual style but I really like it because it has some subtle but nice details.